He cannot watch her make a mistake of such magnitude. 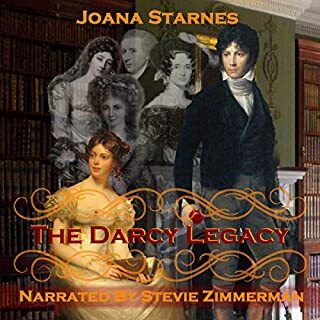 Darcy: A woman as brilliant, beautiful, and witty as Elizabeth Bennet deserves a good match. One better than her silly cousin, or that irredeemable rake, Wickham, who I know to be much different from the image he presents to the world. Can I save her from committing herself to a disastrous marriage? Elizabeth: Considering he finds me merely tolerable, the unpleasant Mr. Darcy is unduly obsessed with the gentlemen who wish to court me. Though I have no intention of marrying Mr. Collins, I find myself inexplicably drawn to the witty Mr. Wickham, in spite of Darcy’s objections. I cannot imagine why Darcy thinks his opinions would sway me, nor can I understand why I cannot stop thinking about the infuriating man. I enjoyed the handsome Mr Collins plot twist, but spent more time on that than the Darcy/Elizabeth romance, which is what I missed in this adaptation. I liked it but this story seemed a little rushed. Stevie Zimmerman really helped the story. I don't know if I would have enjoyed it as much. It was cute, maybe for an 8-year old. With a P&P variation, I look for something different. It was quite dull. Mr. Collins wasn't a toad. Mrs. Bennett was tolerable. Lady Catherine was as she usually is and Mr. Bennett is non-existent. If there was a winner, it was Kitty. 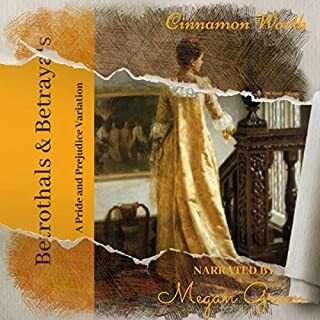 If you’ve listened to books by Rowan Renault before, how does this one compare? 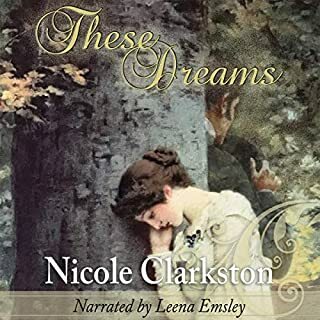 I listened to Darcy's Bride which is by far a better story than this one. Stevie Zimmerman could have made it better. I am a big Stevie Zimmerman fan. Her performances are wonderful! Darcy and Elizabeth don't interact very much. There was none of the tension that typically plays through their relationship. Elizabeth was not her witty, unabashed self. Darcy didn't have that hidden passion that makes him desirable. This Pride and Prejudice variation begins with Mr. Collins' arrival at Longbourn. Instead of the usual humble and simpering parson, Mr. Collins is incredibly handsome, and Lydia, Kitty, and Mary are all smitten. Unfortunately, he's still a simpleton! Mr. Collins sets his sights on Elizabeth and Wickham is trying to charm her as well. 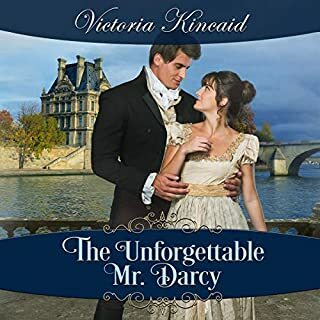 By the time Mr. Darcy enters the picture, he's competing against two rivals and his solemn manners aren't endearing him to Elizabeth. When Darcy tries to warn her about Wickham, her prejudice against him makes her ignore the warning with disastrous consequences. This was a sweet clean read that stayed true to the original. The first half of the story was about the Bennet girls, Mr. Collins, and Mr. Wickham. Darcy re-entered the story in the second half. I loved all the extra interaction between the Bennet girls, and hearing Darcy's point of view. 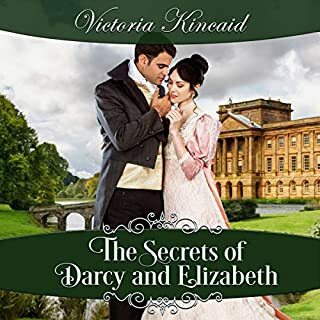 Although there's less interaction between Lizzy and Darcy than I'm used to in a P & P variation, this book is a wonderful choice if you like spending time with your favorite characters. The narration was perfect for the story, Stevie Zimmerman had a wonderful accent and voices for each character. She performed male and female voices and her voice for Darcy was perfection. I requested a copy of the audiobook, and I'm voluntarily leaving a review. I'm struggling with this review. I didn't really enjoy this book but then didn't have a particularly adverse reaction to it either. It trundles along without provoking any particular reaction or feeling. It had a promising start... Mr Collins arrives at Longbourn and is very handsome (although still dull and ridiculous) but because of his appearance Lydia and Kitty are fighting over him. Quite humorous!.... but the rest of the book did not continue in the same way. 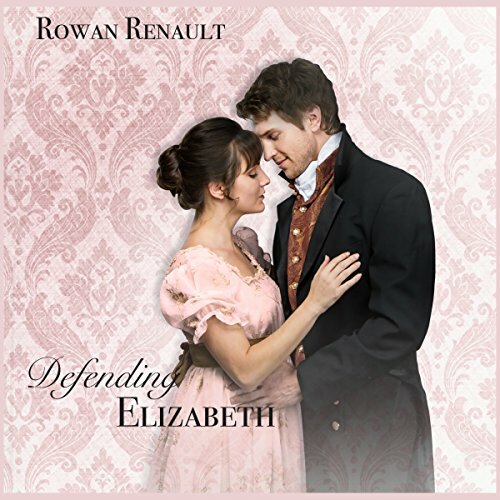 For much of the book, Elizabeth is captivated by Wickham and is giving thought to marrying him. She gives Darcy so much grief!! I actually don't know why he bothers with her. She is a foolish know it all who will not listen... to anyone. Kitty suddenly becomes sensible after circumstances should have surely made her more ridiculous... a change in her circumstances bring about a whole personality change. Miss Bingley is very overt in her attentions to Darcy on a couple of occasions which had the potential to be interesting.... but it didn't go anywhere.... so her entire presence is really without purpose. Large chunks of dialogue are missing when the reader is told a conversation is going to happen but then is not privy to the detail. We just hear the response afterwards. Consequently the characters and their relationships have little meaning or depth. I think the author relies on the readers knowledge of the original work to have a guess at what happens so she doesn't have to repeat it... but it just felt a bit lazy to me. There are some errors which are distracting... Elizabeth waits outside her study (it's actually Mr Bennets) and Mr and Mrs Bennet are referred to as Mr and Mrs Darcy. Annoying and distracting. Overall, it's not bad, but it's not good either. Had I been reading this, rather than listening, I'm not sure I'd have finished it. I really enjoy the narration by Stevie Zimmerman and this book was no exception in that regard. All of the characters have distinct voices and it is always easy to tell who is who.